For safety and security, a US Coast Guard approved PFD is necessary when boating or enjoying watersports. O'Neill's R&D process provides the best quality, fit, and functionality in the industry. 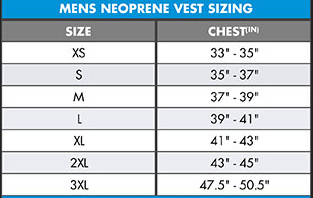 Lighter than other neoprene vests thanks to its innovative NytroLite foam flotation, the Assault Vest is a USCG Approved Neoprene Type III PFD with minimal bulk design. USCG Approved Neoprene Type III PFD with minimal bulk design. Segmented NytroLite foam core constructed with anatomic flex points wraps around the body's shape. Fluid Foam neoprene outer shell, overlock stitched for extra strength and durability. Concealed dual belt system with quick release safety buckles.